Welcome to TATS. The first podcast produced by the XV XIII Network. 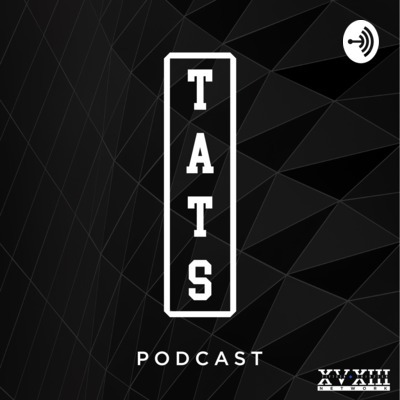 Listen in to hear the story behind the XV XIII tattoo which ultimately became the name of the 15 13 Network || @xvxiiinetwork ||. The purpose of TATS is to introduce you to a group of people who all ended up getting the same roman numeral tattoo that reads XV III (15 13). Things have grown into far more than just a tattoo but like every story there is a beginning. This show is our beginning. Meet Ethan Sansoni & Jackson Edwards. Two fellas who got matching tattoo's in hopes that others would one day join in and turn this friend tat into a crew tat. Ethan Sansoni || @esansoni09 || is the founder/operator of the 15 13 Network || @xvxiiinetwork || and Jackson Edwards || @youngmachete1989 || the man who seems to star in every VLOG on the 15 13 Network. Do Ethan & Jackson end up just getting BF tat's when they set out to get crew tat's? Do other people join this movement or does it die with these two? What does 15 13 mean? Who is Jackson Edwards? These answers and much more await you just on the other side of the first two episodes on the brand new XV XIII Network!